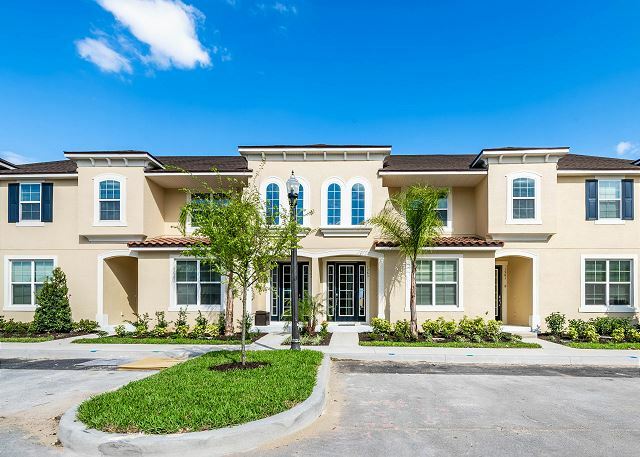 This brand new Solara Resort Townhome is currently being completed and then professionally decorated and will be ready for rentals early spring 2019. 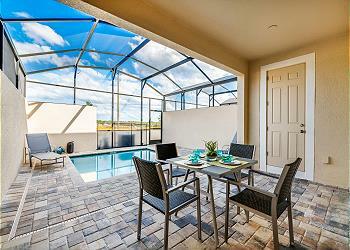 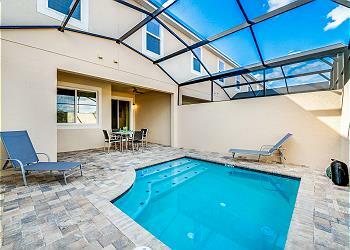 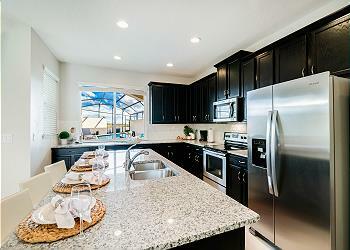 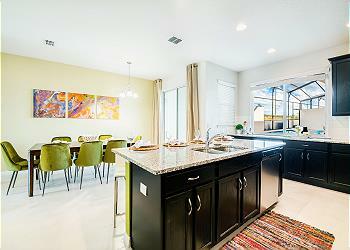 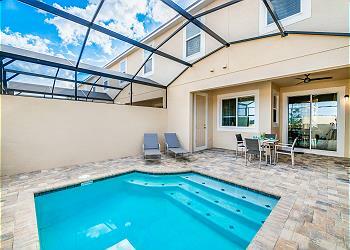 This is is the perfect family getaway home in a perfect location. 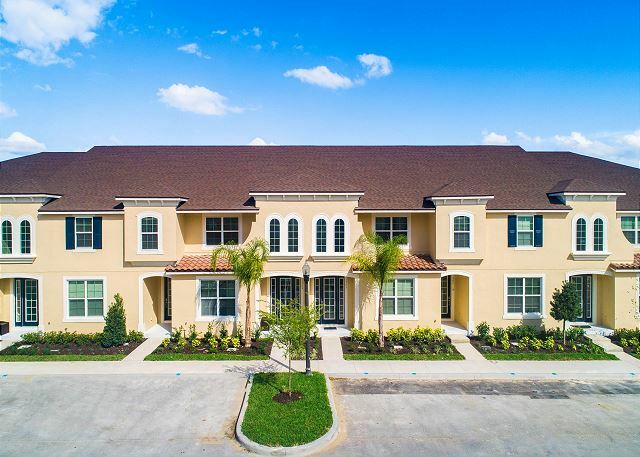 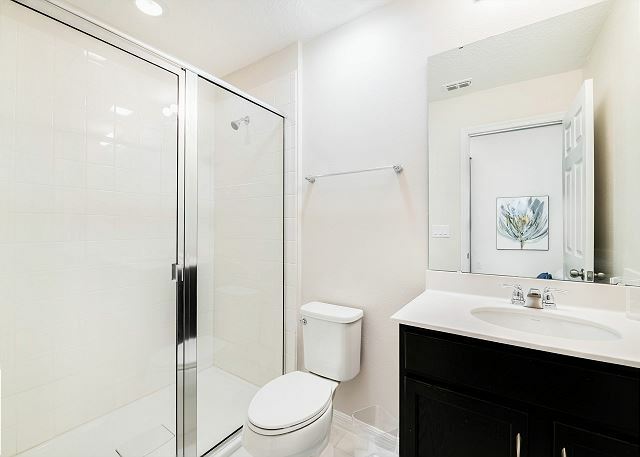 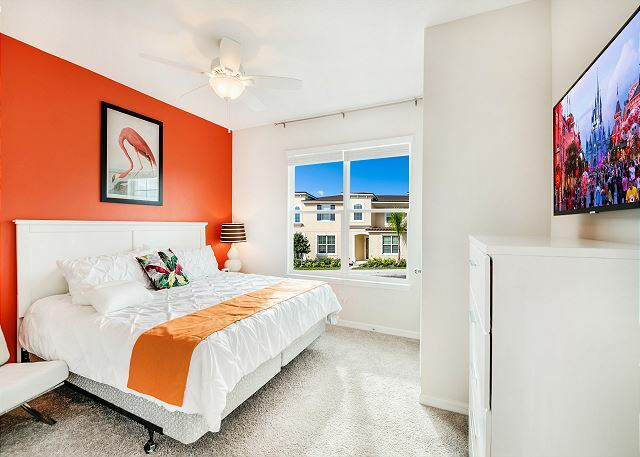 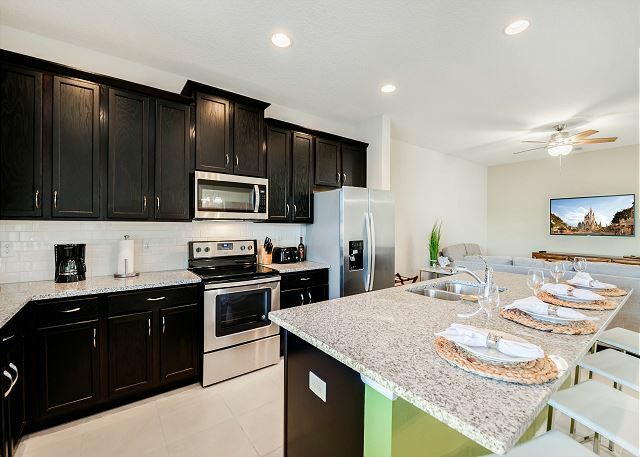 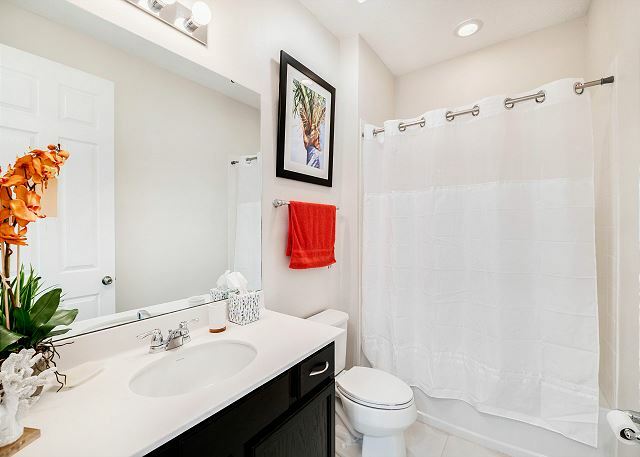 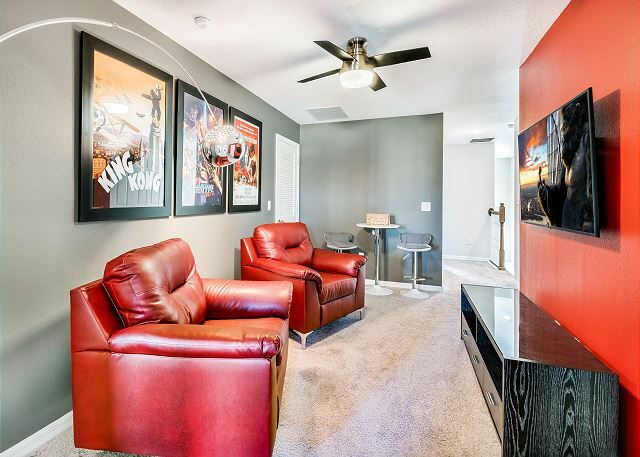 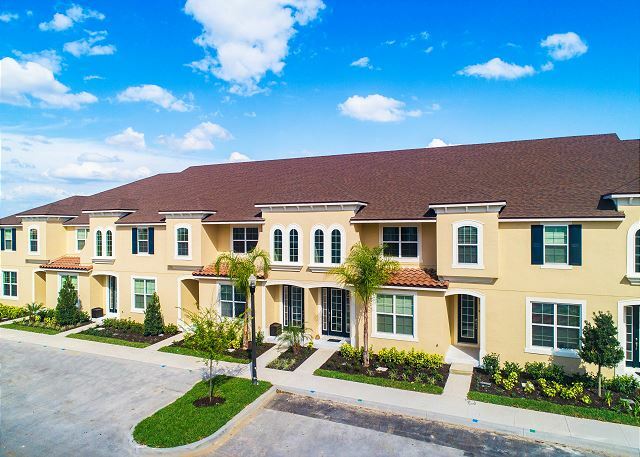 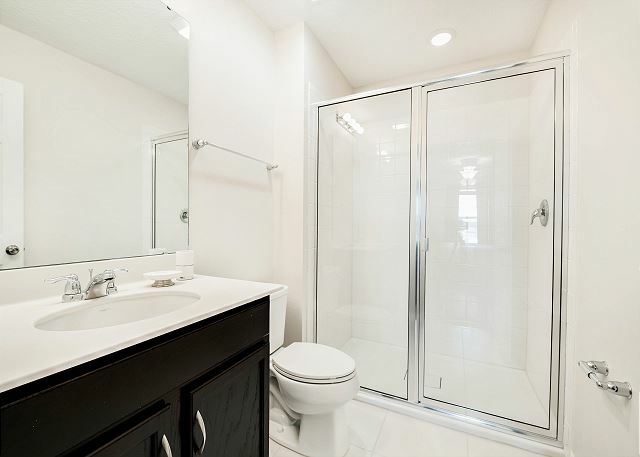 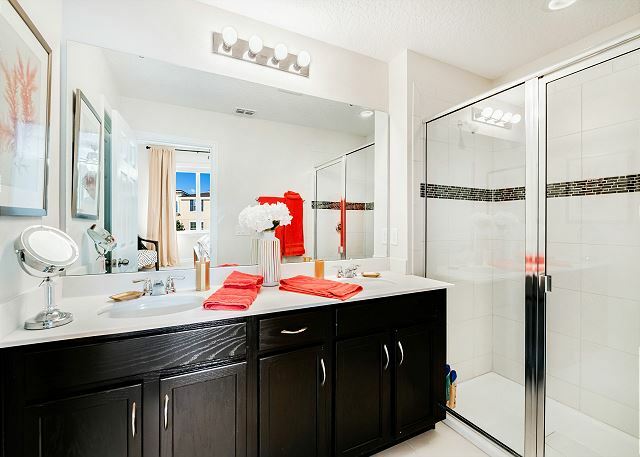 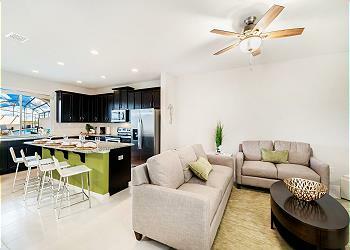 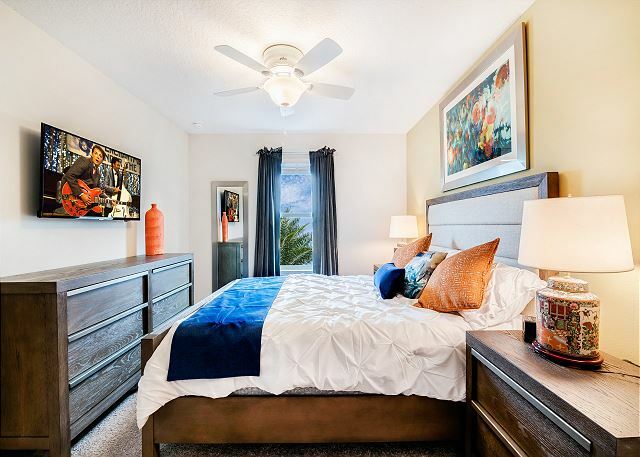 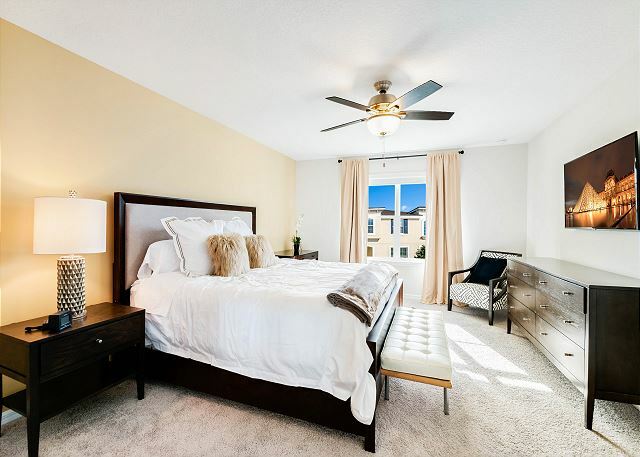 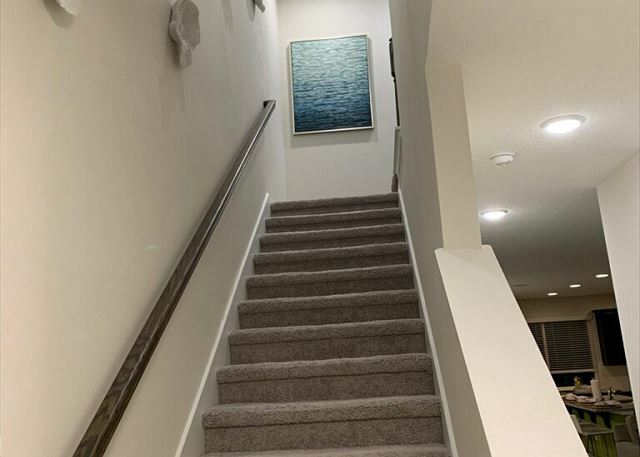 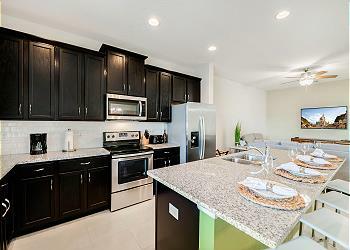 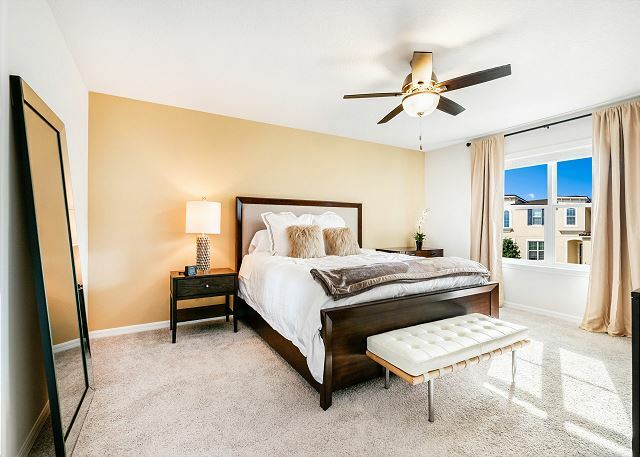 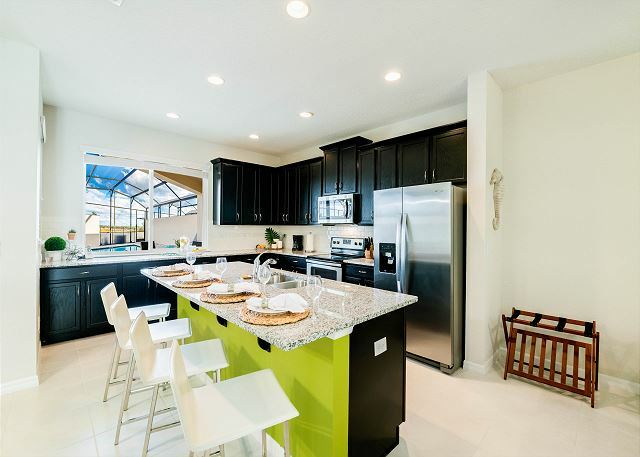 This spacious townhome has an open concept main floor area with fantastic living room area, well equipped kitchen with stainless steel appliances and granite counter tops. 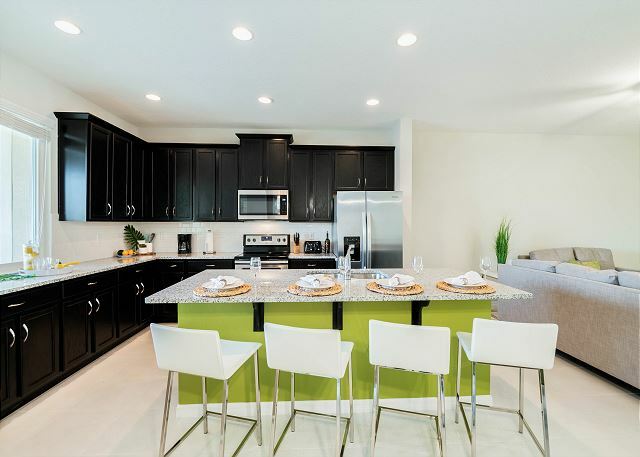 The kitchen overlooks the living and dining area so everyone can enjoy their time together while preparing your favorite holiday meal. 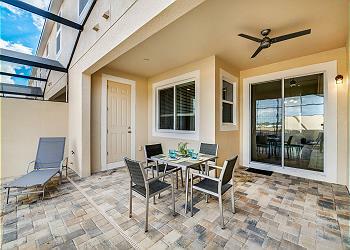 Step out the patio doors to the private covered lanai with seating looking out to your own private pool all screened in to keep out those pesky bugs. One king bedroom is downstairs with the bath right outside the room. A further 3 bedrooms are found upstairs. 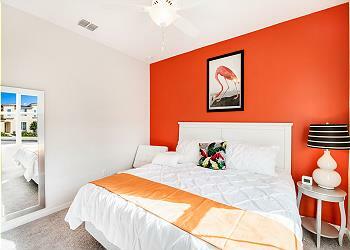 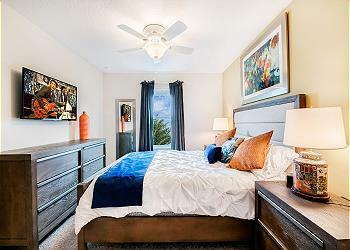 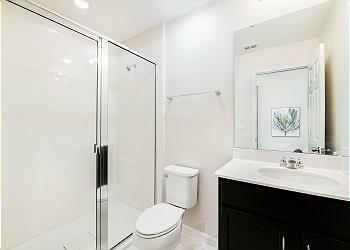 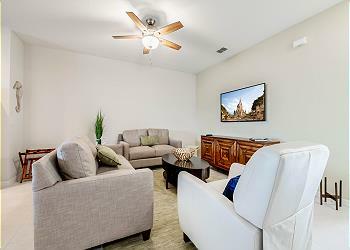 You will find a king master suite on the second floor with its own spacious ensuite bath. 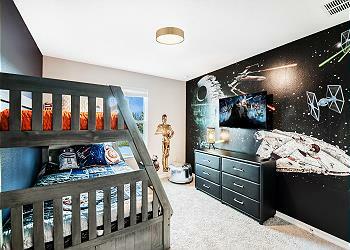 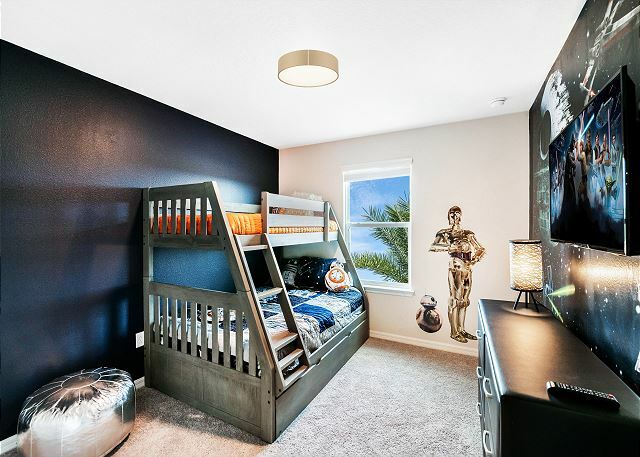 Two other bedrooms include a king bedroom downstairs and a bedroom with a bunk bed with twin over full and a full trundle so the home will sleep 10 comfortably. The final bedroom is a queen en suite upstairs. 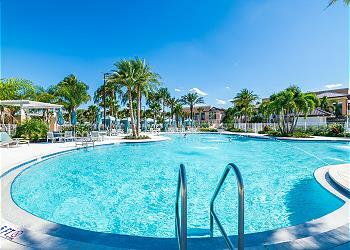 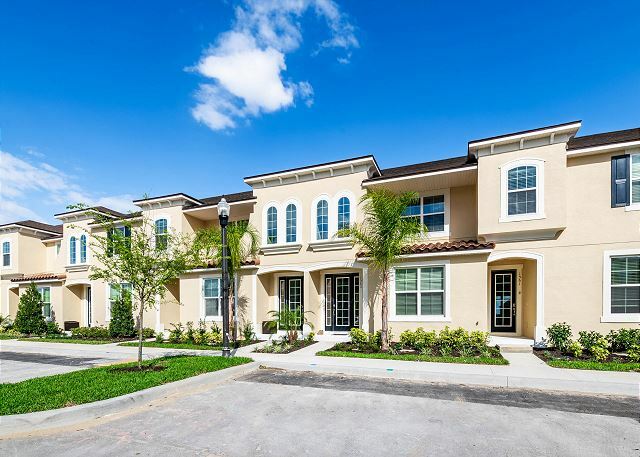 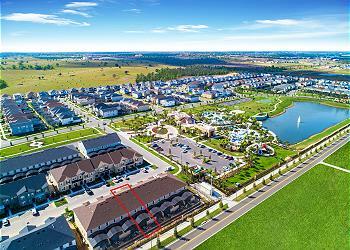 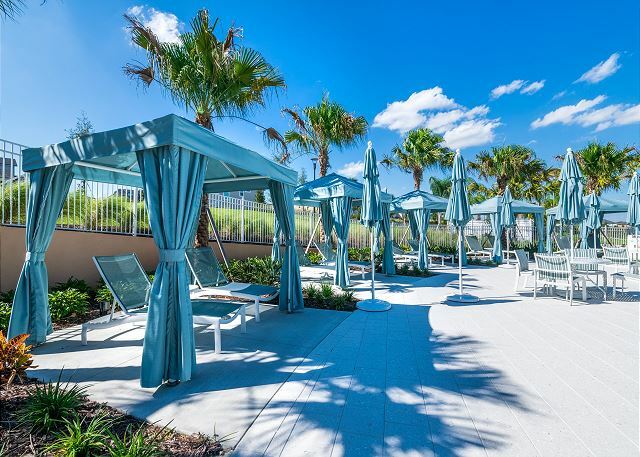 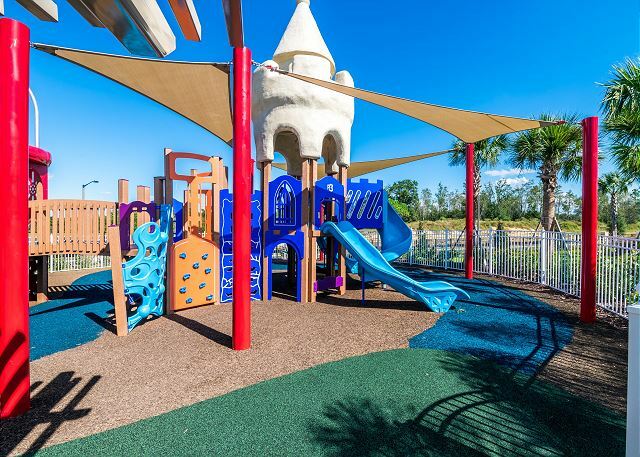 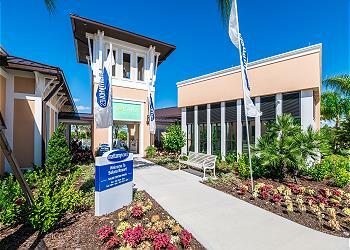 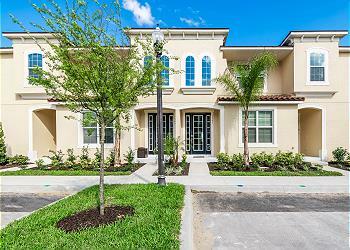 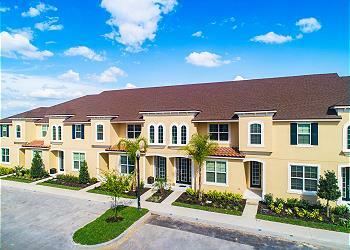 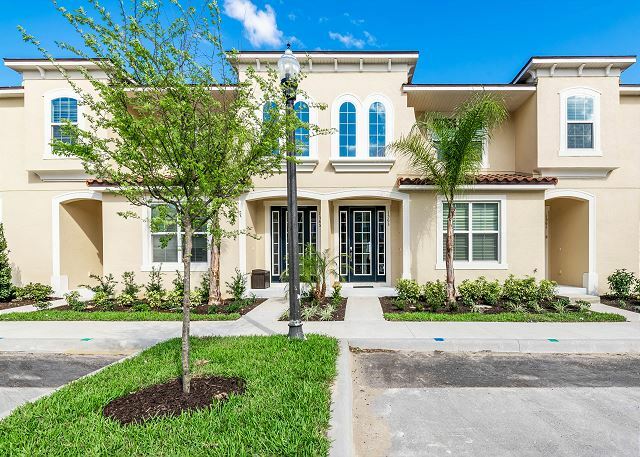 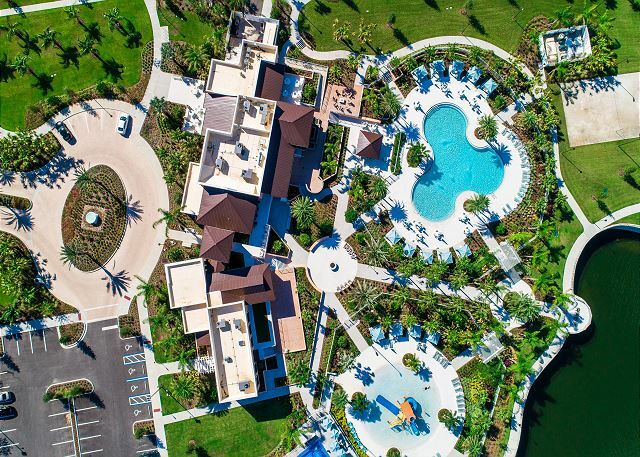 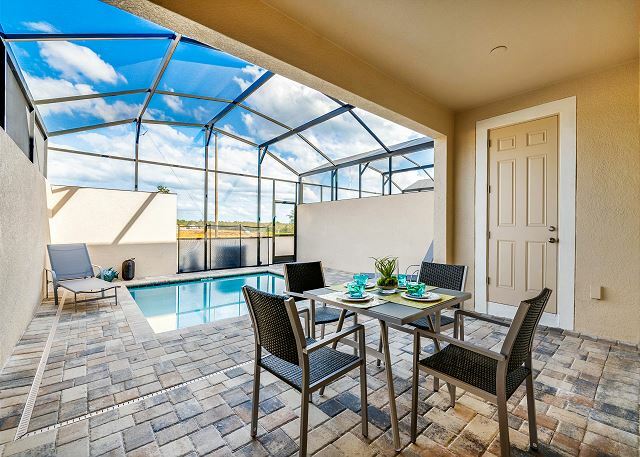 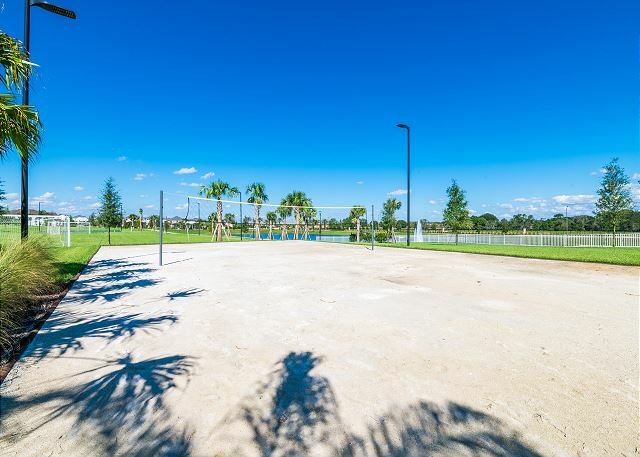 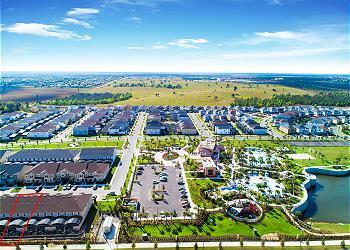 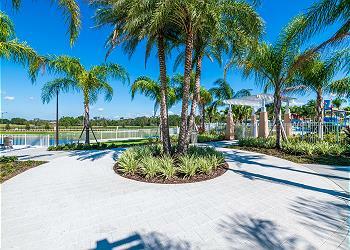 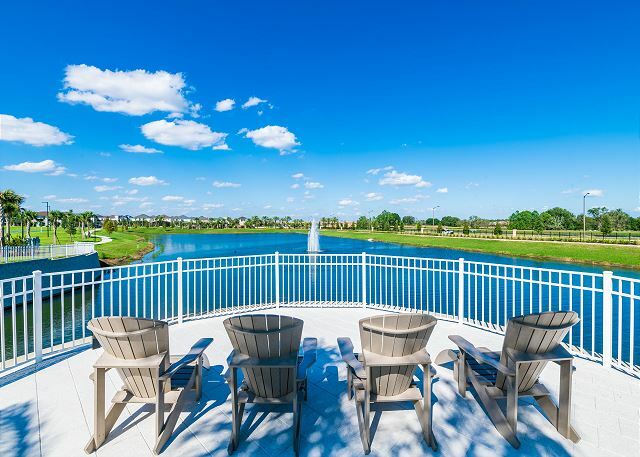 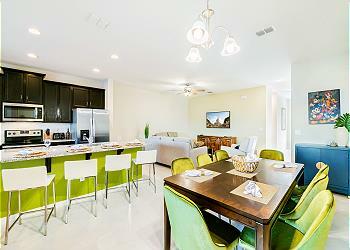 The new Solara Resort in the Disney areas newest luxury resort community only minutes to the parks packed with all the amenities needed to make a memorable holiday for you and your family. 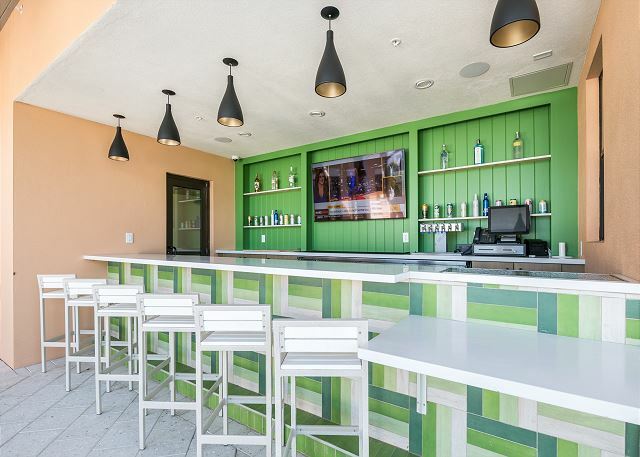 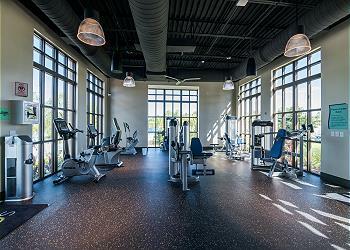 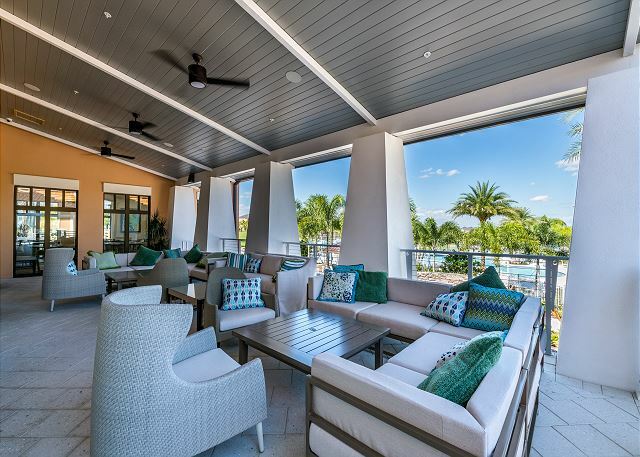 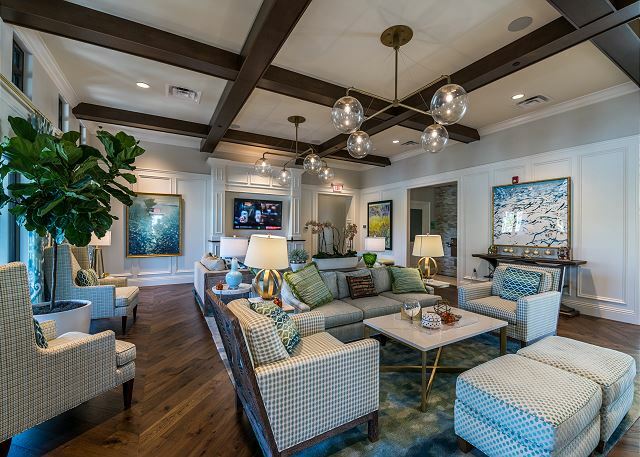 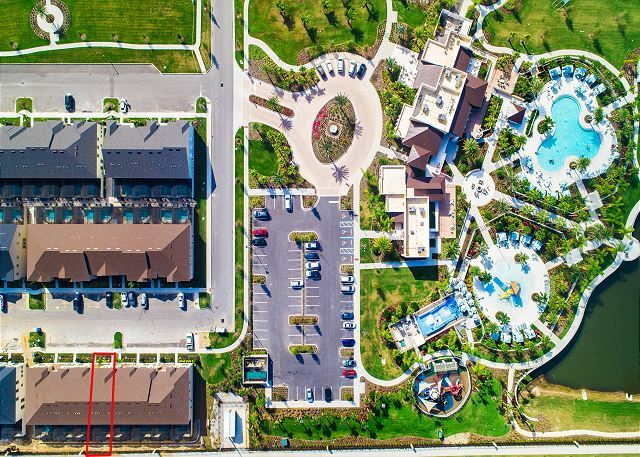 The Grand Clubhouse has amazing features including the water complex, bar and grill, an ice cream parlor, sundries store, fitness center, outdoor fitness area, indoor and outdoor lounges, workstations, teen hang out center and more. 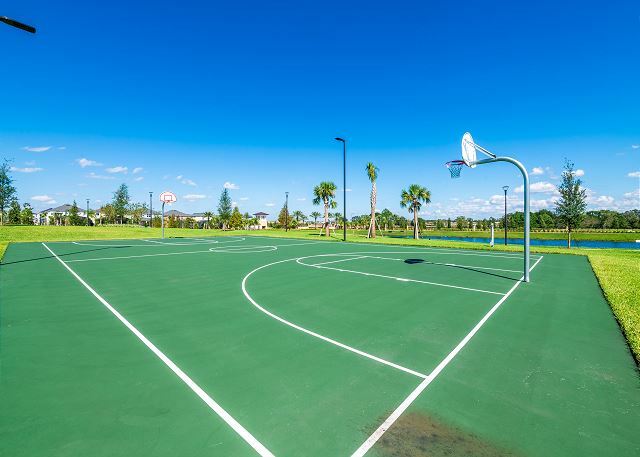 Enjoy the sun outside have some great family and friends time at the basketball court, play beach volleyball, soccer field and more. 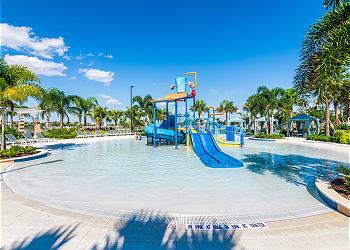 Enjoy the Resorts water amenities such as the expansive zero-entry pool, separate children s splash pad, water slides and more. 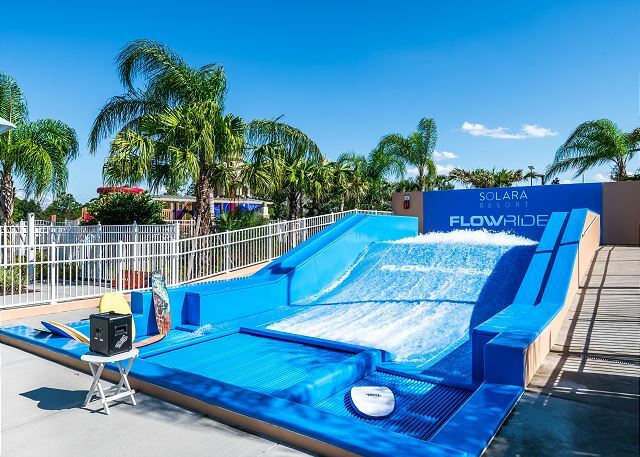 There is even a Flowrider feature for those daring enough to try some surfing.